Much of this site is still under construction. Please check back for updates. Welcome to Original Healing Ltd.
​​We focus on prevention by getting to the root cause instead of just treating symptoms. We focus on prevention by getting to the root cause instead of just treating symptoms of illness. People turn to Original Healing Ltd to restore, improve, and maintain health. We listen to the needs of patients, then we test and measure to map out a research-based, nutrition-fueled path to well-being. We move beyond simply treating symptoms to address illness at its cause. Your positive journey to optimal health communicates a positive, hope-filled message. It stresses our individualized approach and achieving the best possible outcomes. Naturopathy simply means “Natures way of healing pathological conditions - Nature-o-pathy." In the United States (U.S.), Naturopathy was defined on February 7, 1931, when the U.S. Congress passed the definition of Naturopathy without a dissenting vote. The Honorable Katherine G. Langley had this to say: “Naturopathy does not contemplate drugs and surgical operations, nor is it in the scope of their science. To the contrary, they do not use or prescribe drugs as part of their treatment, nor do they advocate or perform surgical operations upon their patients”. Today, this federal law is still the legal definition of naturopathy in all fifty states and territories of the U.S.
Dr. Benedict Lust (1872-1945) gave naturopathy its name. Born in Germany, Lust (pronounced Loost) came to the United States in 1892 to seek his fortune. By 1902, Lust had opened a naturopathic sanatorium, established a naturopathic college, and began a naturopathic magazine. Today’s Doctor of Naturopathy is well educated. The science of naturopathy requires a special emphasis on candidates to fulfill certain requirements in their curriculum including but not limited to, Anatomy, Physiology, Bacteriology, Pathology, Biology, Chemistry including Organic chemistry, and the [Science] of Naturopathy based upon the Philosophy of Healing and Treatment modalities of all physiological functions and abnormal conditions of the body on the Natural Laws governing the body, and other related subjects. To graduate with a Doctor of Naturopathy degree, each candidate passes a difficult examination offered by the institution of Higher Education that they graduate from. They must then apply to a governmental or professional licensing board and pass a still more difficult test before becoming Board Certified. Naturopathy is based upon the scientific fact that your body is a self-regulating, self-healing organism. To function at its optimal efficiency, every cell, tissue, organ, system, which make up our body needs optimal nutrition. Nutrition, plus the adherence to the other natural health laws, prevents disease and restores health naturally, without debilitating side effects. Naturopathy is the science of locating imbalances in the body caused by nutritional deficiencies, which leads to the weakening of organ(s) and the immune system; causing symptoms to manifest themselves, in the form of a cold, fever, diabetes, cancer, heart disease, etc., leading to degenerative disease and death. Disease is an effort of nature to free the system from conditions that result from a violation of the laws of health. In case of sickness, the cause should be ascertained. Unhealthful conditions should be changed, wrong habits corrected. Then nature is to be assisted in her effort to expel impurities and to re-establish right conditions in the system. 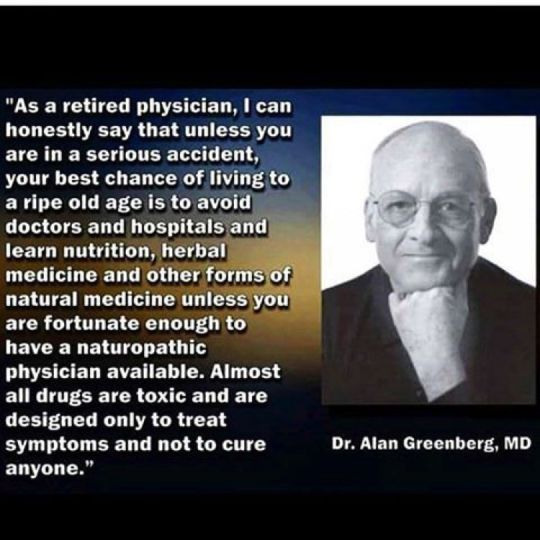 Naturopaths are teachers and educate their patients concerning the health laws of their being and how to apply them to their specific health challenge to regain optimal health. This is accomplished by analyzing what is taking place within the electro-biochemical structure of the human body. It reveals the intricate cause and effect of the physiological dysfunctional patterns, which always begin as a nutritional deficiency. This is accomplished by detoxifying the body, then providing each cell of the body with the necessary nutrients to grow and develop. Once the body has been cleansed and detoxified, and each cell of the body has received all the necessary nutrients to regain health, then the next set of cells which are designed to replace the unhealthy cells will be stronger and healthier than the cells they replaced. Nature’s way of healing takes time but you regain optimal health without side effects. Each year chemical companies in the United States release over 7.1 billion pounds of 650 different chemical pollutants into the atmosphere and water. Our bodies were not designed to handle such an incredible load of toxins. Almost everyone can benefit from a detoxification program; it is the first step to clearing toxins in your body, feeling better and reducing your risk of illness. Join us on the journey to optimal health, a healthier way of eating and a higher quality of life. Take the first step to feeling better & reducing your risk of illness ​by contacting Original Healing Ltd.
Monday & Wednesday from 9:00 a.m. until 5:00 p.m.
Tuesday & Thursday 9:00 a.m. until 7:00 p.m.